You can tell my friends know me well when I receive children’s books and puppets for Christmas. This year I received both. One of the books, Bread Bread Bread, reminded me of an experience I had visiting Paris last year. At the time I visited, an International Festival of Bread was being held just across from Notre Dame. 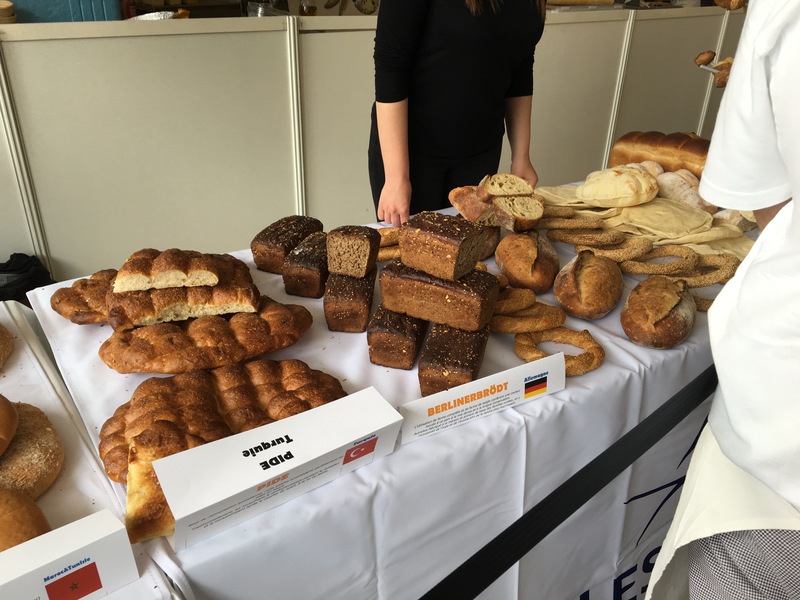 The festival was housed in an enormous tent, holding a fully functioning bakery and displays of breads from all over the world. You can just imagine how glorious it smelled! 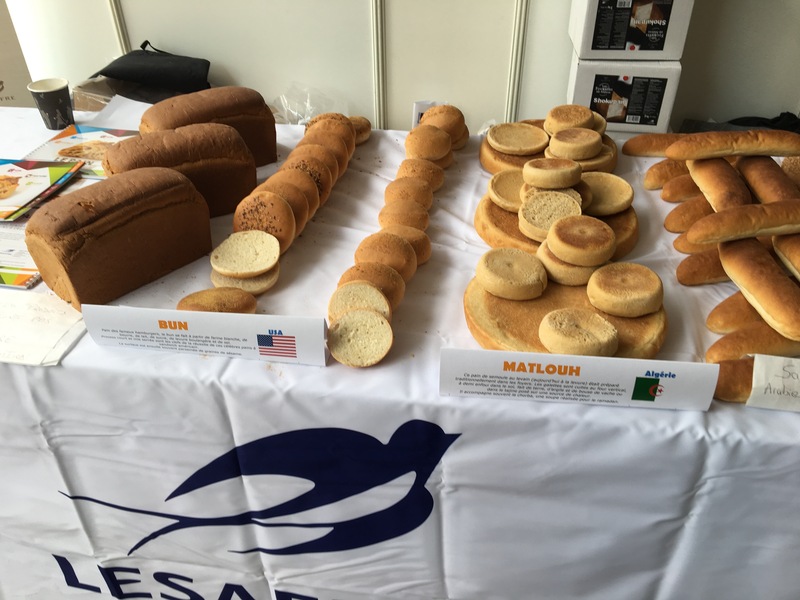 I will admit, though, that I found it disconcerting to see what the organizers felt was the United States’ contribution to the world bread culture. In the display presenting each country with a representative type of bread, the U.S. was represented by the hamburger bun. Oh my. 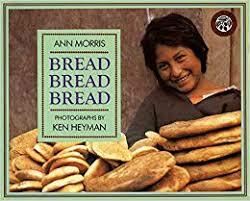 I thought of that experience when I received Ann Morris’ Bread Bread Bread, a picture book of breads from around the world, created with photographer Ken Heyman. As I read the book, I thought what a wonderful way it was to help young students understand there was more than one way to think about bread. It is a very basic concept, but it can be viewed flexibly. The idea that things that are familiar to us can be understood differently is basic to creative thinking. This book is a bit like a multicultural experience between two covers! I had the same response when reading Morris’ and Heyman’s parallel book, Hats Hats Hats. 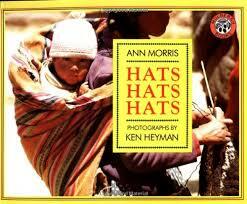 It is, as you can imagine, full of images of hats from all corners of the globe. Again, young students have the chance to examine a concept they likely envisioned as simple and familiar as more varied than they imagined. An index at the back of each book explains the origin of each hat (or bread) and how it is helpful in a particular environment. Morris and Heyman have other books looking at varied international shoes, homes, transportation, and more. It is fun to think about how students may contribute to, in addition to appreciating, these multicultural varieties. Having students invent new types of bread could be tricky, but I can easily imagine students being challenged to design a new hat, perhaps a hat suitable for a particular place, culture, or environment. Similar activities could be possible when examining varied shoes, transportation, etc. Each time students’ stretch their understanding of familiar concepts, they build capacity for flexible thinking. And in this case, I get to reminisce about those glorious bread smells! PS Did you wonder if my hamburger bun story was an exaggeration? Check it out.